There are a few types of rice porridge or congee available in KL. 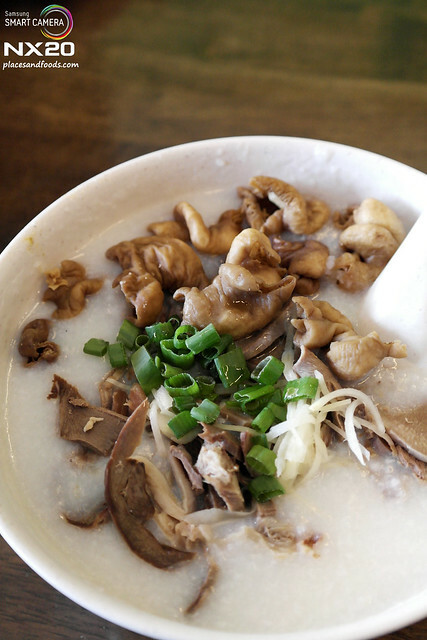 You can have the ever popular pork innards porridge or other varieties that includes fish, chicken, frog and cuttlefish. Frog porridge is harder to find nowadays as frogs are pricey. Frog porridge is quite common Chinese food and they are popular with the older generations. For pork innards porridge, there is a name everyone knows, HonKee Porridge in Petaling Street. They are currently franchising with various outlets around KL. No. 52, Jalan Puteri 2/4, Bandar Puteri, Puchong. Teo Chew porridge is plain porridge with the selection of side dishes to go with it. Most common food that goes well with teo chew porridge includes salted duck egg, salted fish, omelette, black bean fish and many more. Some mixed rice stalls offer teo chew porridge too while you can the popular ones like Fong Wah at Changkat Thambi Dollah. The reason Char Siew (BBQ pork belly) and Siew Yoke (roast pork belly) are listed and categorized as one because most of the places sell both of them together. They are one of the most common Chinese food around KL and what so special about them? 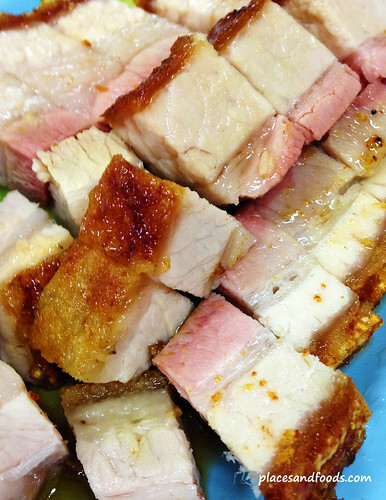 Siew Yoke or Roast Pork Belly is crispy on the skin and tender on the meat. Most siew yoke has a little saltiness at the bottom of the meat as they usually marinated them with salt (and sometimes “five spices”). Siew yoke is a popular meat for Chinese communities around the world and KL too. Char Siew or BBQ Pork Belly is another hot favourite among the local Chinese community. Unlike the char siew from the Southern region states of Malaysia, Singapore and East Malaysia, KL’s version is often caramelized and roasted till dark red in colour while the other region’s char siew is dyed to red colour on the outer layer and they usually use lean meat. KL’s version is usually three layers meat and it often tastes sweet. 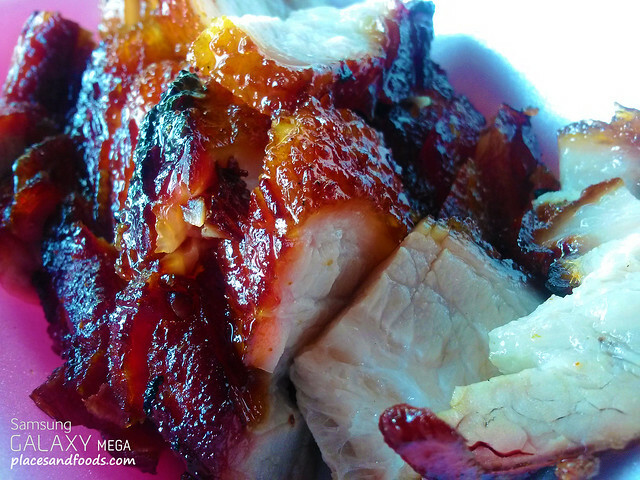 The best char siew is juicy and tender and almost melt in your mouth. Open Monday-Saturday, 12:30 p.m.-3 p.m.